From being unable to ever consummate your love in the medieval tradition of amour courtois to the Victorian insistence on chaperones, society has always attempted to thwart over-enthusiastic wooing. 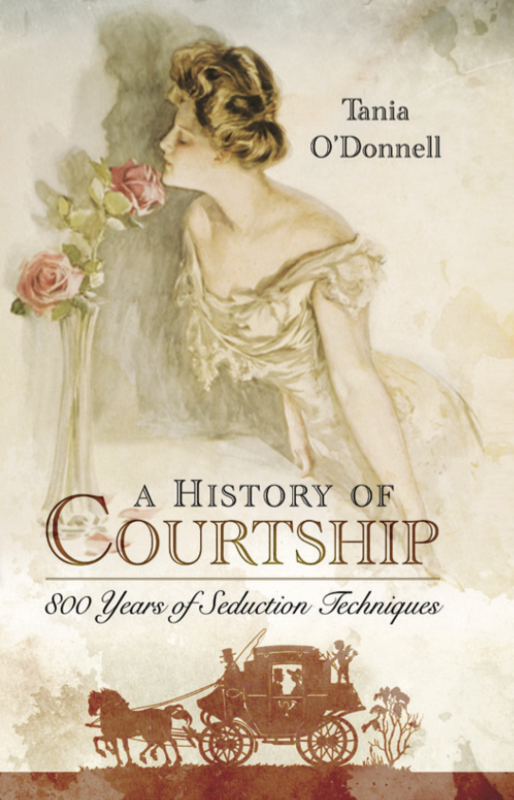 Yet, love will find a way, as Tania O’Donnell proves in this lively exploration of the courting rituals of yesteryear. Discover how our ideas of desirable qualities in a mate have changed over time. Assets such as wealth, attractive features and the ability to give tokens of love and admiration remain in high demand. However, our beliefs about the level of wealth we can marry into, good looks we can acquire, and the tokens of love we exchange, have not remained constant. Today you might expect flowers and jewellery from your beloved, but in the past you might have been given a ribbon for your hair, a decorative wooden spoon, or a personalised knitting stick. Using examples from letters for the aristocracy and landed gentry, and oral folk wisdom for the peasantry, this book builds up a picture of love and romance through the ages. • The Roman poet Ovid warned women against having a ‘goat below the arm’, but, by the Middle Ages, excessive attention to one’s appearance was deemed sinful. • Fourteenth century dandies wores poulaines, shoes with pointed toes so long they had to be secured with whalebone – proving that size does indeed matter. • Love letters can end lives – just ask the Tudor queen Katherine Howard. 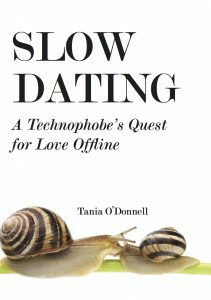 Slow Dating starts from the premise that internet dating has caused an unseemly speeding up of courting. What was considered a profound art to be studied and applied has now become a quick chat up email, often written in text-speak. Tania O’Donnell advocates going back to Slow Dating, a term that describes not just an offline quest for love but also the philosophical belief that ‘you can’t hurry love’. Can you truly escape the mod-cons and still find true love? Will rejecting technology lose you your friends? Discover the secrets to dating that our grandmothers knew to be true. Tania has spent most of her adult life upsetting friends and family with her aversion to technology. She regularly refuses to answer the telephone. She has lived without a TV for several years. She put an end to any hope of a career as a stage psychic with this impressively inaccurate prediction about email: ‘It’ll never catch on.’ If anyone can write persuasively about the pros and cons of technology it is a writer forced by her profession to become adept at using the sort of machines she wishes she could take a hammer to. You will feel, if not understand, her pain. As cheques are superseded by cards, paper money by electronic transfers, and the gods of marketing start finding out your deepest desires through the dark arts of information technology, this extreme voice in the wilderness is what we need to bring perspective to our lives. You won’t agree with all of Tania’s radical views but her nostalgia for a quieter, calmer life will be seductive for many. Clutter can damage your health and affect your wealth. Think we’re exaggering? Here’s the thing: everything you own needs to be kept clean or you’re breathing in dust and creating an environment loved by icky pests. The more useless things you have, the more useless stuff you have to clean. Clutter also affects you financially because if you don’t know what you have because it is hidden in among the clutter, you go out and re-buy it. Plus there’s the hidden value in junk (defined as something you don’t love or need) that’s not in your pocket because you haven’t gotten round to selling it. Clutter can also lead to despair. Instead of feeling like you’re home, you feel like you’re in a stranger’s (messy) home because you haven’t had the courage to make decisions about your things and really put your stamp on your own home. It seems like such a mammoth task that you get exhausted before you even start. Clutter saps energy and makes you feel overwhelmed. But before you hire a skip and chuck everything away, do bear in mind that clutter isn’t just having a lot of things. So getting rid of stuff is an important activity, but where do you start? 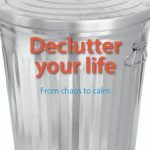 Declutter your life is here to help. It will help you to make the commitment today to tackle your clutter, make those vital decisions about what is to go and unlock the brilliant new stress-free life you want and deserve. For most of us, trying to find a moment of peace in our hectic schedule is like searching for a needle in a haystack. When faced with a crisis it’s more likely that we’ll fly into a panic than calmly assess the situation and formulate a plan to deal with the problem. With the help of The brilliant book of calm you can take charge of your life like never before, so that when push comes to shove and the proverbial hits the fan, all you need to do is take a deep breath before you deal with whatever life has thrown at you. 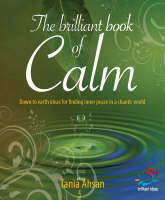 Packed with advice on how to slow down, calm down and find your inner Zen master, The brilliant book of calm will help you find and maintain a balanced perspective on life, so that you can deal with anything. Whether you’re permanently stressed-out or just in need of a bit of a push in a calmer direction, Tania Ahsan’s road-tested advice will enable you to live a calmer, richer and happier life. Simply brilliant.